Are your kids psyched for the third Hobbit movie? Thinking of throwing a Lord of the Rings themed party for their friends? Or maybe for your own friends? 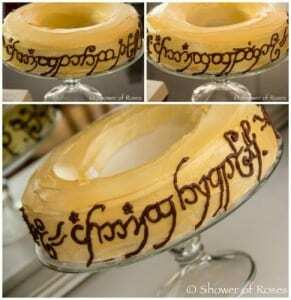 In honor of its opening day today, this article contains a list of Lord of the Rings recipes! Whether it’s just for fun, or if your child has a birthday coming up and would love nothing better than to munch on Lembas bread and wear a gold ring, these are some pretty awesome ways to show your LOTR spirit. 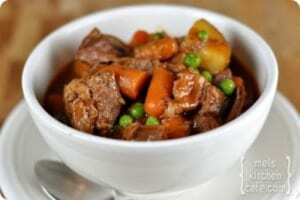 Having gathered these ideas from blogs posting of successful LOTR recipes, the following posts show some real creativity with their LOTR themed food creations! 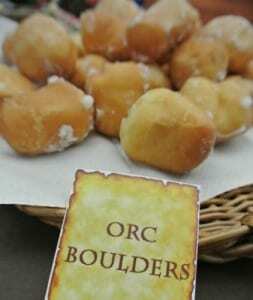 While some of the referenced Lord of the Rings Themed Food might play only a small part in the book or none at all, these LOTR hosts have labeled their food creating the connection between item and story, such as “Rosie’s bread” or “Balin’s Spiced Beef.” Others, such as Lembas Bread, are mentioned directly throughout the books. So, let’s start off with the cake, the most important part of any party. 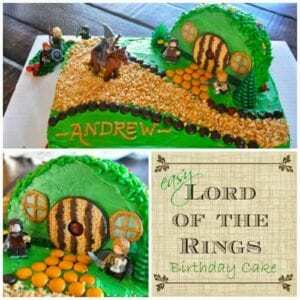 There are two different LOTR cakes that really stood out. 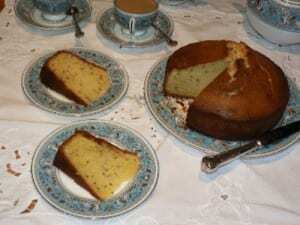 The first is a cake representing the shire. 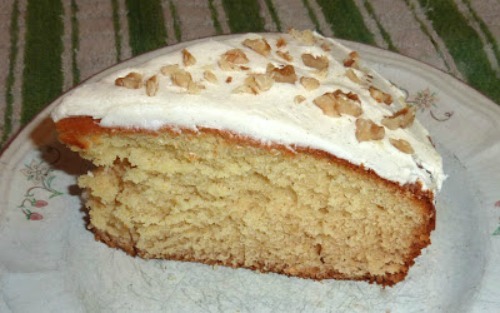 In order to give the one true ring more of the spotlight, this blog tries another style cake. Fashioned after the ring Bilbo wears, this cake is great for a smaller party of guests, and it looks awesome! 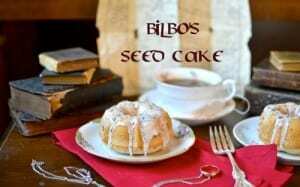 The quote goes, “But I don’t mind some cake – seed cake, if you have any.” Per Balin, from The Hobbit, pg 19. Seed cake is mentioned pretty early on in the book, and these are two recipes that try their hand at making LOTR-worthy seed cake. 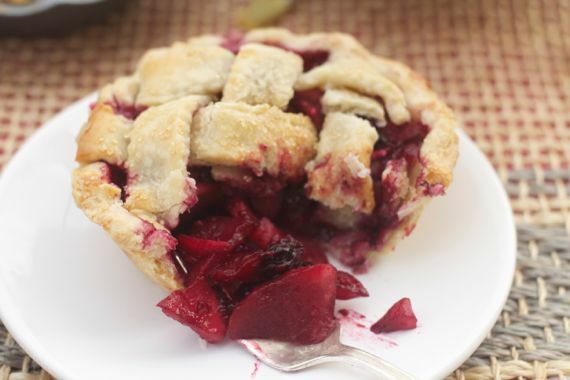 While we’re on the topic of LOTR desserts, this Berry Pie recipe is perfect for any kind of hobbitses. Hobbits’ love of pies and scones is mentioned in the book, and so this pie was fashioned in their honor, and even miniature in size! 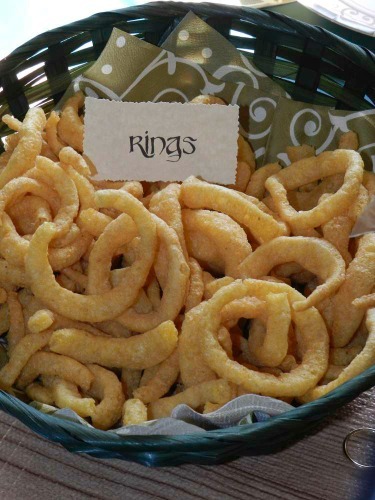 If you hope to stay in the true spirit of Middle Earth appetite, then these Lord of the Rings Recipes might be the way to go. 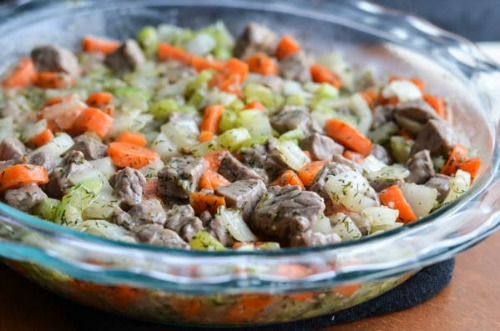 Or how about a Hobbit’s Vegetable and Beef Pie? Of course we can’t forget the snacks. Here are a series of snacks with LOTR inspired titles to make everyone feel like their living in Middle Earth! Just click the links to see the full Lord of the Rings Recipes. 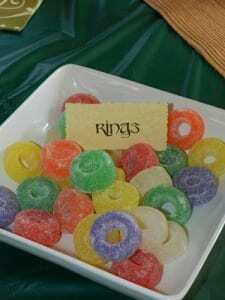 This site has a whole post on their Lord of the Ring’s party. 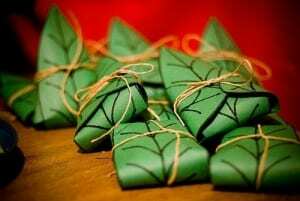 My favorite part of their creativity is their Lembas bread. It is green construction paper marked to look like leaves, wrapped around a homemade type of bread and tied with brown string. Brilliant! This post contains a real recipe for lembas bread that sounds easy and delicious. 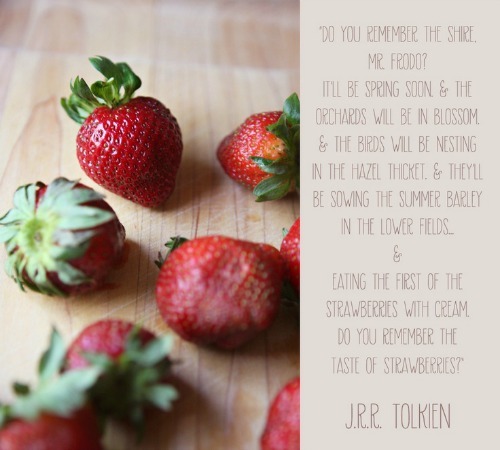 This lovely quote about strawberries and cream will have your mouth watering, so why not provide some for your guests? Write the quote where it can be seen so your guests’ mouths will water too! 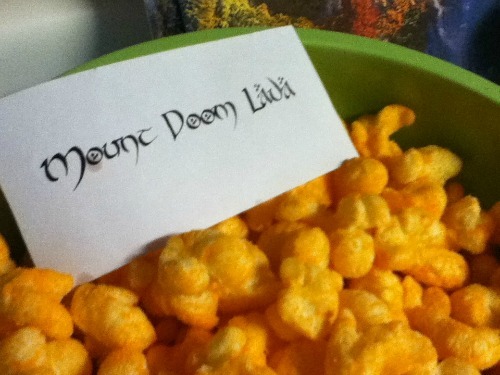 Replicate molten lava from the depths of Mount Doom with these cheesy puffs! Beorn the bear king plays only a small role in the story, but that doesn’t mean his Honey cakes should be overlooked. 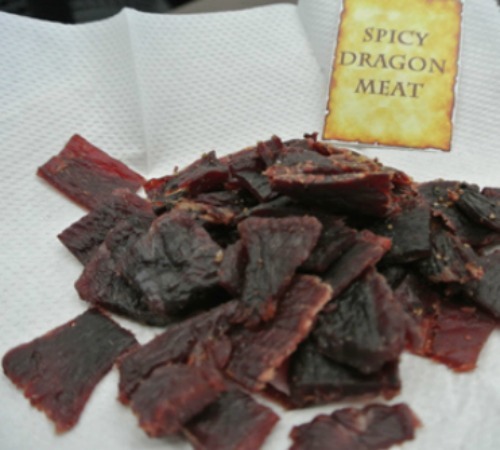 Check out the Lord of the Rings Recipes here! 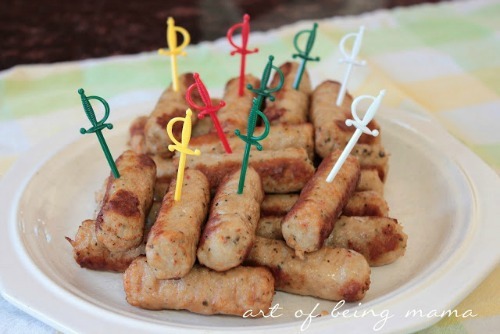 These speared sausages have “Hobbit” written all over them, a perfect option for Second Breakfast! 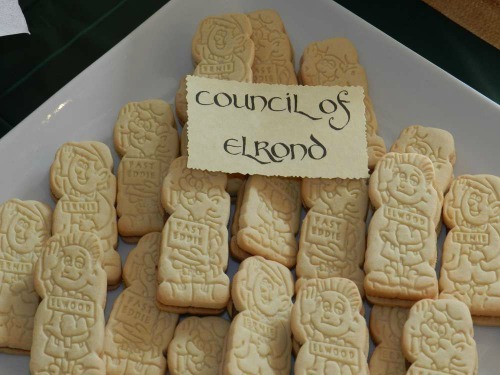 This blog cleverly re-created the council of Elrond with Keebler elf cookies! How about referencing Gollum’s appetite for raw fish with these Swedish fish gummies? 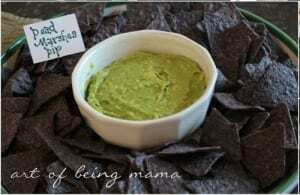 Or creating your own mini marsh with a delicious guacamole dip? This party host even went a little dark by getting dried jerky and labeling it “Dragons’ meat”. Not sure how that would sit with every crowd, but it’s an idea! 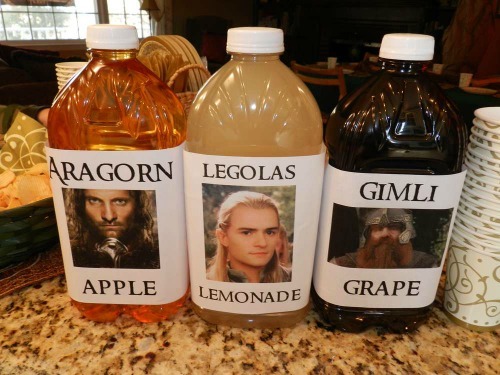 For these Lord of the Rings Recipes it is important to feel free to use your creativity! Another great idea are “Orc Boulders”, otherwise known as glazed donut hole. Yum! We approach now the most important, the most sought, the most powerful of Lord of the Rings Themed Food; The Rings. This is always the big one – what to use as rings? This post uses round pretzels, great for little fingers if you can find them sold by the bag. 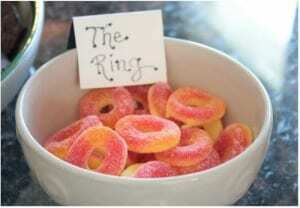 Or if you need an extra sweet treat, these peach-O’s and life saver gummies make great edible All-Powerful rings. 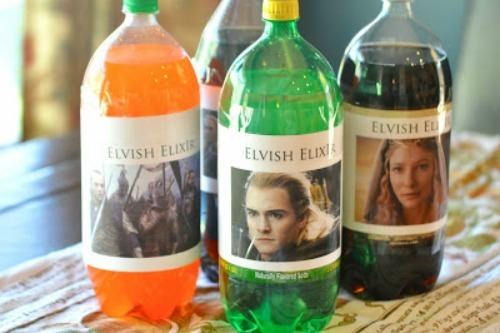 Last but not least, we come to the Lord of The Rings themed beverage options. Nothing like drinking Elvish elixir! 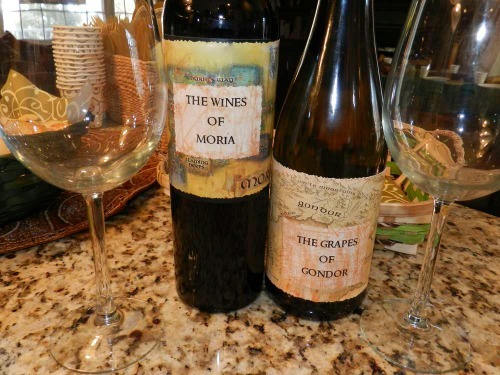 For adults, this host printed out maps of Middle Earth and wrapped them around wine bottles, a very nice touch! 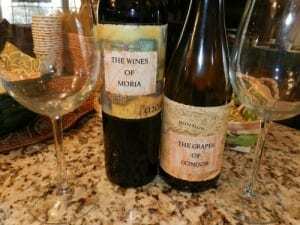 What do you think of these Lord of the Rings Recipes? 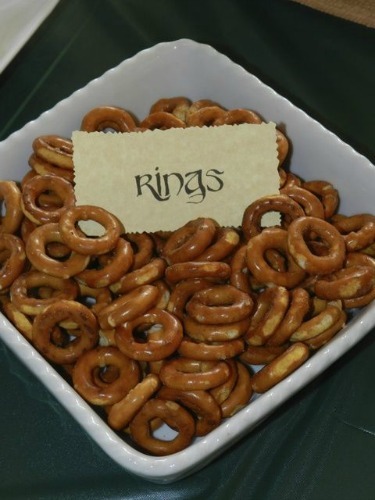 If you’ve thrown a Lord of the Rings party, let us know what Lord of the Rings food recipes were successful in the comments below! Now I want to watch Lord of The Rings and pig out. You’ve got some great ideas here. This is awesome! 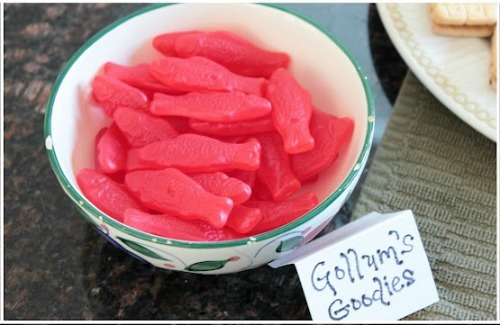 My son lovs Lord of the Rings, he would love this party! You are vvery creative! I didn’t realize that the third Hobbit movie was coming out!! All of these dishes look delicious for a party!